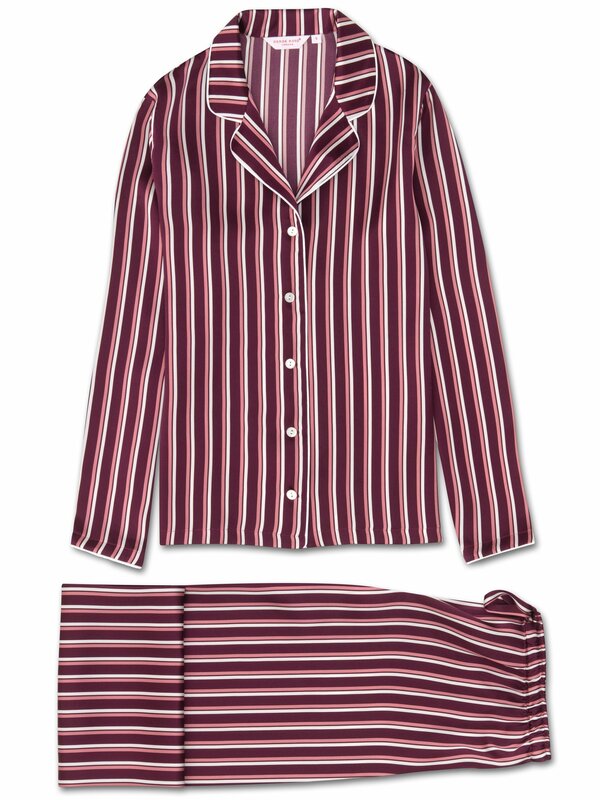 Designed in our London studio and handmade in England using the finest Italian silk, the Brindisi 25 design is a nod to our striped pajama heritage and features repeated pink and white stripes on our burgundy silk for a blend of classic and modern style. Handmade in our workshop in Cheshire, England, this stunning pajama is crafted from luxurious pure silk. 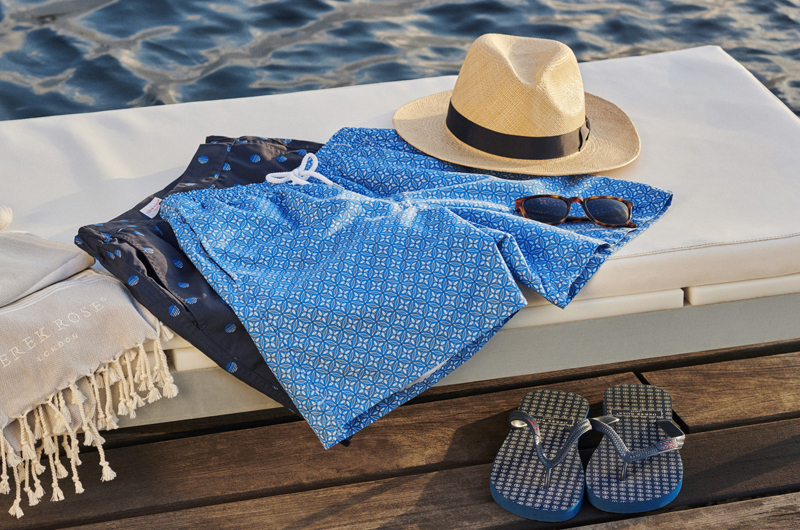 Produced in extremely limited quantities and the result of hours of loving craftwork by our skilled pattern cutters and seamstresses, the Brindisi 25 PJ set is cut by hand to ensure we uphold the supremely soft and elegant satin finish.